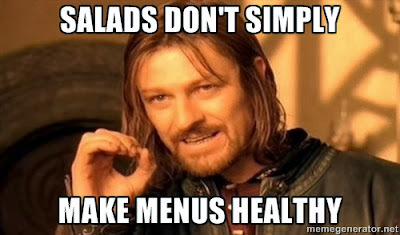 Weighty Matters: Salad Does Not a Healthful Menu Make! Just a short public service post that you can share with whichever of your powers that be that might need it. Just because your fast service menu or restaurant offers salad doesn't suddenly make your menu healthful.